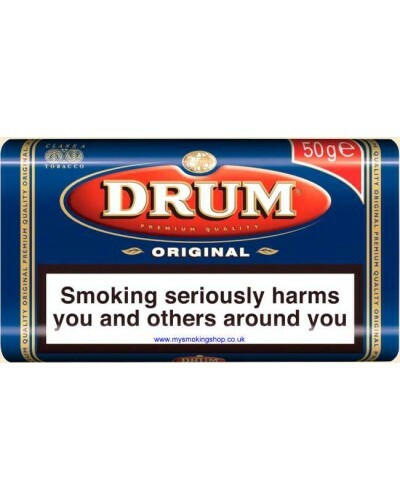 Drum Original Blue is a fine cut roll-your-own Halfzware rolling tobacco. Original blue is a premium blend of barrel cured Dark Kentacky and bright Virginias. This unique smoke is 50% Virginia leaf to reduce the bite yet gives a smooth smoke. A very popular hand-rolling tobacco famous throughout the world.